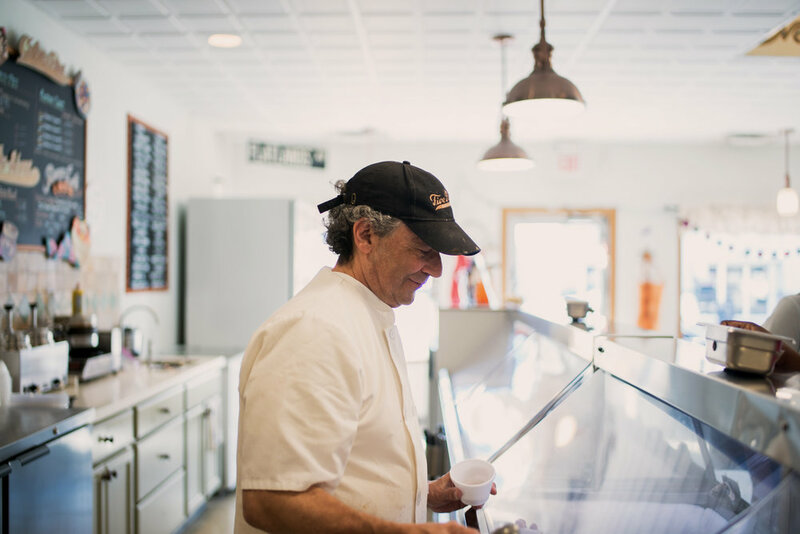 Five Pennies Creamery is the brainchild of Dan Levine. As a native New Yorker and Brooklynite for over 40 years, Dan set out to create a mom and pop shop that reflected a classic, and sometimes forgotten, New York. Named after the timeless film, The Five Pennies, which chronicles the life of jazz singer Red Nichols, & tells the story of a man who values love over career ambition-- our ice cream is just that. We're low in pretension & corporate gimmicks, but high in quality & rich in love. Don't be surprised if you hear "Village Green" or “Monica” by The Kinks, or maybe a classic Louis Armstrong & Danny Kaye duet, or even The So So Glos. Come visit our shop, where ice cream and music blend together for magical moments. "With just five pennies, if they're these FIVE pennies, you'll be a millionaire"
These are just some of the 130 flavors we sell! All of our flavors are available as Milkshakes, Malteds, Egg Creams, Sundaes, & Banana Splits!